Evergreen shrub. Slow growth. 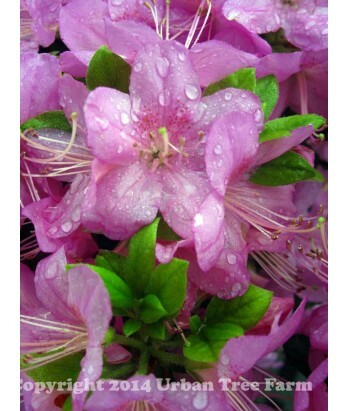 Impressive display of abundant, single pinkish-purple flowers with deep-colored throat markings. Blooms in spring. Regular water needs in well-drained soil once established.